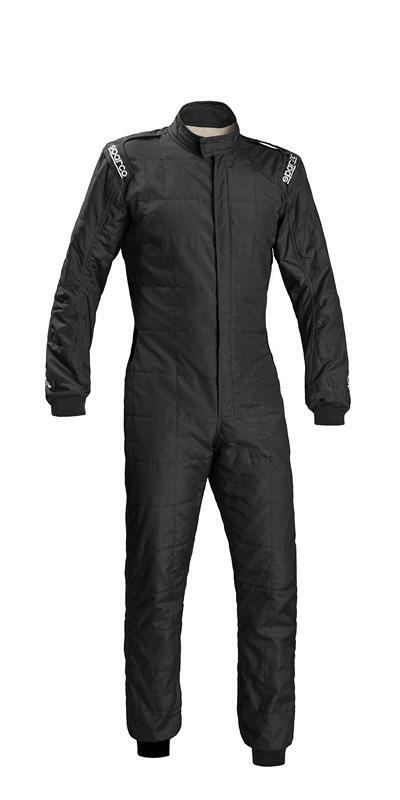 The Prime SP-16 suit was designed to provide drivers light weight, comfort and breathability. Even the smallest details in terms of materials, construction and accessories were taken to the limits to ensure weight savings down to the very last gram. COMPOSITION: Meta-aramid/polyamide-imide. Three-layer sandwich weighing less than 240/270 gr/m². CHARACTERISTICS: The three-layer Prime SP-16 suit features elasticised panels at the armpits and back made from a light, breathable fabric. The third outer layer is a double face mesh made from original DuPont Nomex® Comfort woven using the Kompact system. This material contains a high percentage of antistatic fibres which provide extremely effictive antistatic properties. The Prime SP-16 suit has FIA type approval and has all the latest accessories such a lighter, slimmer zip, lighter wrists and ankles, neck and shoulders improved to reduce weight, ultra-thin stitching to give a flat stitching pattern.